Alaric is probably most known for the sacking of Rome in the fifth century. Those were dark times. The namesake of the Visigoth king is a dark punk band from Oakland, who’ve just released an album that I for one can’t stop listening to. It’s called End Of Mirrors. Recently Alaric opened for Neurosis during their anniversary shows and now they’ve been signed to Neurot Recordings. The band have also been around since 2008 with a sound inspired by goth rock bands like Christian Death or post-punkers Killing Joke but with a rough edge of their punk inspirations. In fact, I can’t help but think of Rob Miller from Amebix and his recent endeavors with Tau Cross. The vocals really are in a way evoking a similar ambiance with that slightly off key grandeur. It really helps put tracks like Demon and Mirrors out there. It just musically lacks that penetrating drive that really gets to you, in the way that razor edge of a punk track hits you (which is made up for a little on the title track, where we hear Shane Baker barking the lyrics as well). It just wavers by and uses more subtlety, especially on the last mentioned track, which does get closer to a more aggressive punk offering towards its end. 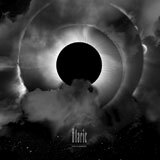 Alaric relies on its atmospheres and oppressive, full flung sound. The force of the music is not in its sonic prowess or in its speed, it’s in that heavy expression of thick layers of distorted music and those hollow vocals with the right amount of reverb. If you listen to the intro of Adore, you’d more likely think of a band like Joy Division to describe this sound and the dissonant guitar shrieking through the down trodden bass. Interestingly enough, the song switches to a tribal drumming session halfway, including some squeeky effects, completely alienating itself from the previous coldwave music. That vocal crooning by Baker is often what tips the scale to a more gloomy feel on the songs, for example The Shrinking World, which also features a chorus of chanting that only amplifies his effect. Can we call this style doom punk? Because it feels so much like a doom album, without ever really being that. The loud sound has something cavernous to it, submerged and fully embracing the darkness until it becomes part of it. It’s not a superficial dark, it seeps through every note of the songs. Most poignant perhaps on the desperate plea that is Adore, with a howl in the words like “I live and die for you… I gave the world to you…”. A moment later the despair seems to shift to anger, but always in doubt, always on the edge. Alaric walks a dangerous path on this second full length, gloom and doom is all their sound brings, but in a complex and open way. The sound minimalises its means only to maximise its impact. It works out wonderfully. A good one to listen to again…and probably again and again.